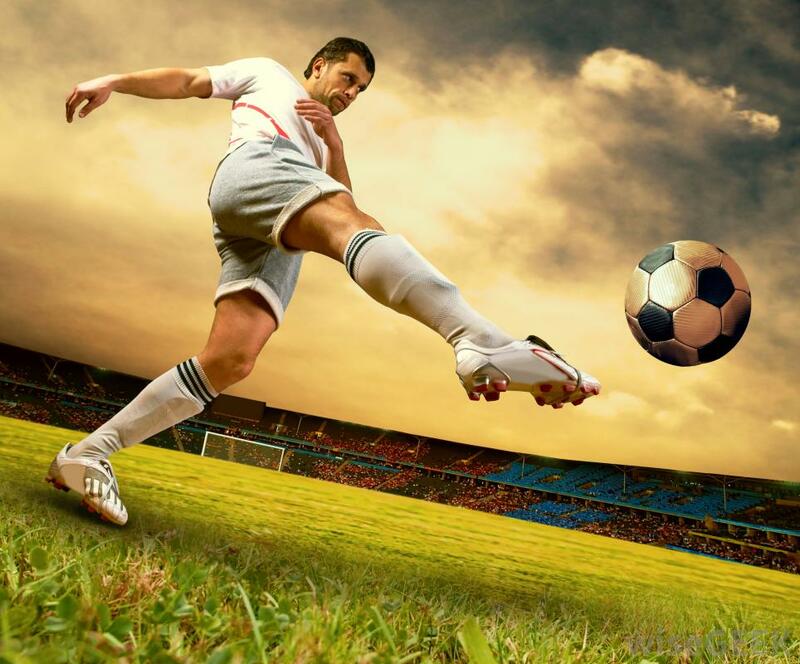 Considered as the king of thrill and excitement, football has always been one of the most popular among all games. Almost all the countries of the world welcome football with a lot of enthusiasm and passion. Apart from skill and techniques one of the most important things which is indeed the lifeblood of football is the physical fitness of the players. It is true not just for football only; but every single game requires a great deal of physical fitness from the players. With a right training and guidance, you can achieve this level of fitness. But only the fitness won’t do your job. You have to become serious and dedicated towards the game in order to become a successful football player in the future. Every game has its own rules and regulations and other technical matters. You have to be acquainted with these things and abide by the rules of football. More familiarity with the rules will help you to become a more technically correct player. There is one thing more which is extremely necessary in playing football- the position. It is natural that all the players will not play in the same position. So, to assign different positions for different players is very important. But before that the person who has been given the charge of doing this job must be familiar with the individual capability of the players and by analyzing their playing technique the players should be assigned their positions. Every position has its own importance from the perspective of the way the entire team performs. And a good team needs to have equally good players in all these positions. Here under are given some of the positions extremely important in a football match which will also give you the contribution of them behind a victory. He is the protector of the team. The ultimate of the defense line, goalkeeper of a team must be so good in his action and reaction that his team can get a comfortable victory. He must be very cunning and lively so that he can become a powerhouse of inspiration of the entire team. He needs to have a presence of mind which will tell him when to go forward to stop the opponent and when to stay inside the penalty box. In these cases, a perfect reflex is very important. Defenders are divided into three sections inside the field- the left back, the right back and the centre back. In order to prevent the attacks made by the opponent team, the defense of a team must be solid enough. He must possess the required skill to stop the striker of the opponent team but without committing a foul- especially inside the penalty box. And like the goalkeeper a presence of mind is very important for them because it is their duty to assume from which direction the attack might come. So, they play according to that. He is the engine of his team. He acts as the lifeline by creating the chances of goal and also by controlling the total performance of his team. As a connecting link between the defense and the attack, the midfielder actually does a double work- contributes to the defense to make it stronger and also adds to the attack to make certain chances of scoring. What happens when the positions and roles get mixed up. The responsibility of scoring remains on him. If the striker does not possess enough skills to push the ball into the net of the opponents, the entire team suffers. So the striker must skillful, technically sound and intelligent so that no chances will miss. The above mentioned points have given you some information on the importance of various positions in football. To win a football match one must give emphasis to all these things. Diyana Lobo is one of the renowned authors writing on tempobet hakkında. In this article she has discussed about the importance of various positions in football. She is regular contributor to Bahis10.com.